When I decided to make dishes with onions as main, I had to obviously make this Onion Rice. My office cook made this the first time and all of us had liked it so much. I had to try this out on Konda, surprisingly she liked it too. Though in most dishes she picks out the onions, she somehow managed to eat this rice completely. 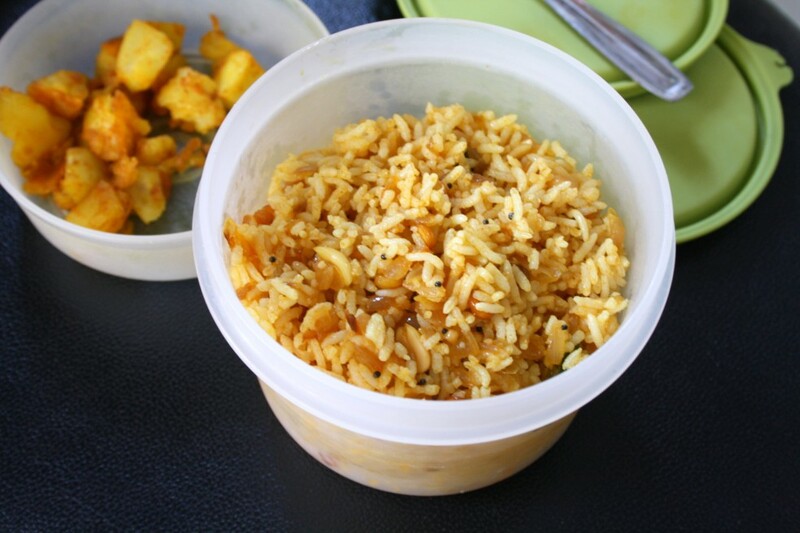 The taste, the easy and everything else compliments this rice and you have one quick lunch box recipe to reckon. However my colleague was hesitant with making this as this rice will surely call for more than a teaspoon of oil and she was so much against it. Anyway I managed not to add so much oil as it might not be so good for Konda who will end up eating cold food. Wash and soak rice for 15 mins. Cook and keep it aside. Wash and chop the onions finely. 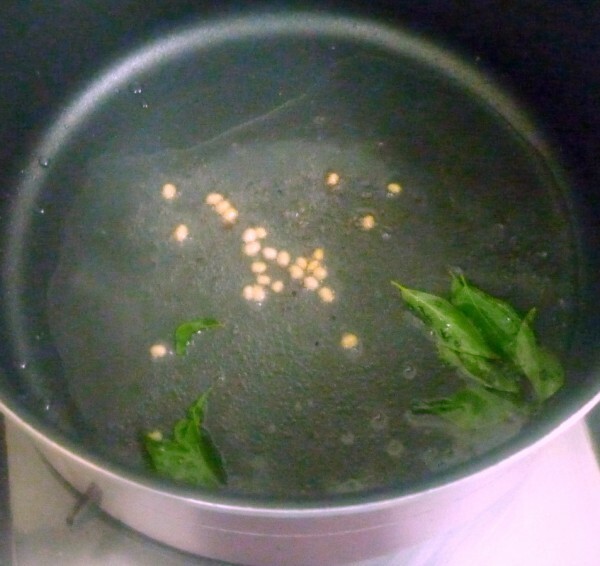 Heat a non stick pan with oil. 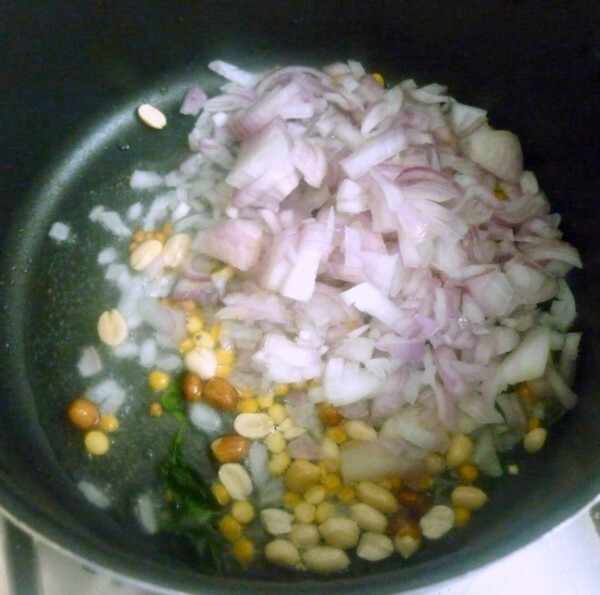 Temper with mustard, Urad dal, curry leaves, channa dal and ground nuts. 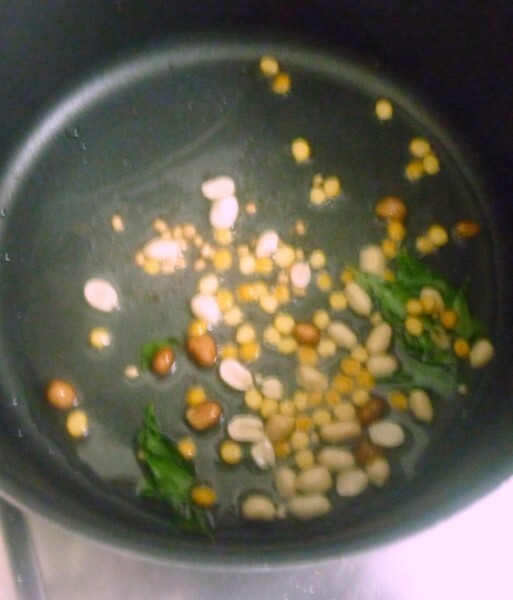 Saute for couple of mins. Then add the chopped onions. 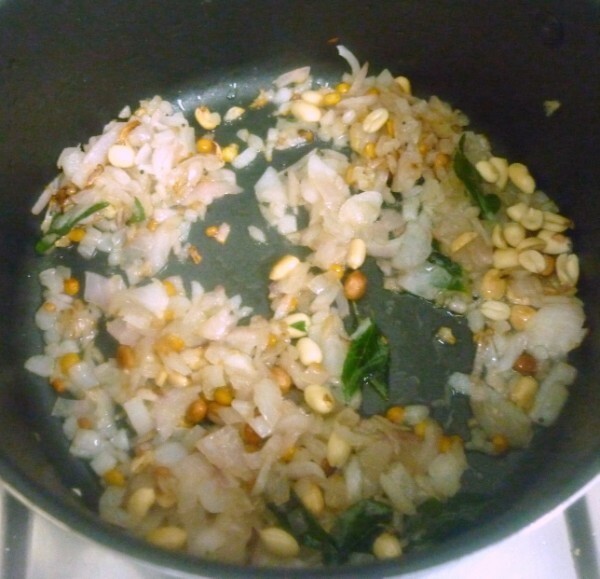 Saute will till the onions are done. 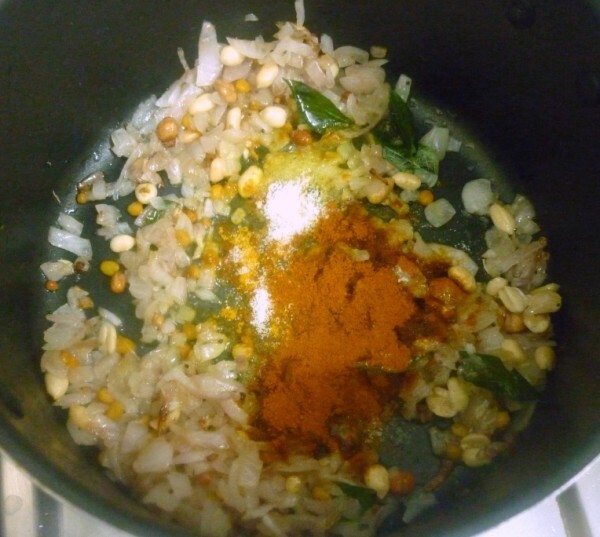 Then add the red chili powder, turmeric powder and combine everything well. 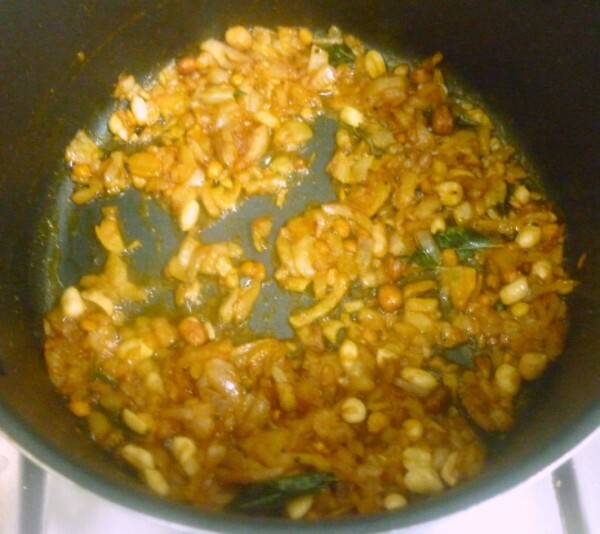 Simmer for few mins. 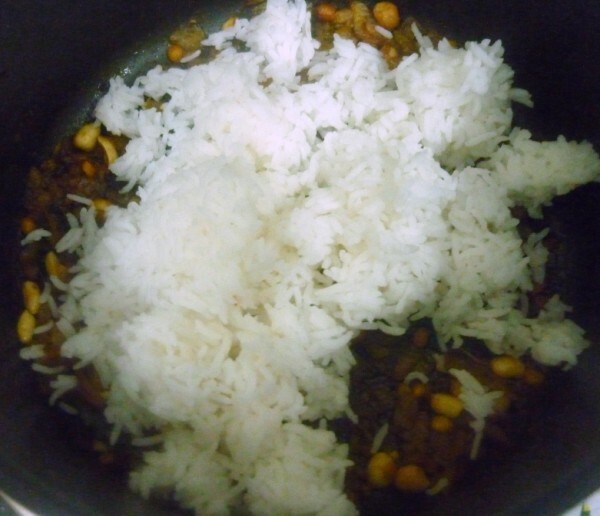 Finally add the cooked rice and combine everything well. Since we add onions, this rice will be best only for about 4 hrs. Make sure you don’t keep this out for long. It should be a flavorful rice.. Unique flavored rice! I'll def try this..
simple and a quick fix…. Such a flavourful rice, simply delicious. these sound very flavorful..a must try!! 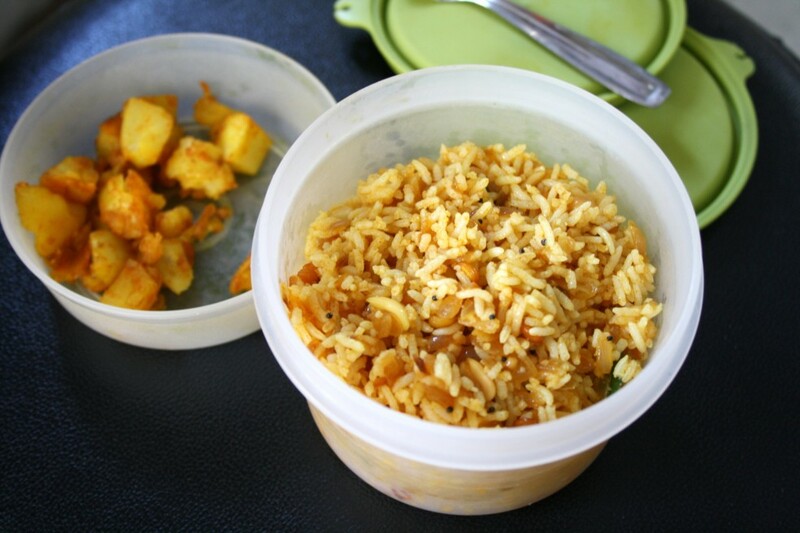 Simple and delicious rice.. Perfect for lunch box.. Sometimes simple dishes is more comforting and delicious…love it. A nice, easy recipe to try. I have tried this with garlic too, that too turned out to be yummy.